Posted On February 06, 2015 by Team iCynosure. Every turn you take you see these ‘zero’ size girls all around shopping for Prom Dresses.I can feel the frustration that plus sized girls go through and the efforts that they put into shopping and dressing up for the prom. I understand buying a prom dress can be a real hassle with so many choices but in all the chaos the best thing to do is to keep it simple and fun. While shopping for plus size prom dresses, ensure that you are just not given the option of getting dresses designed for smaller girls in larger sizes, but are offered dresses especially designed for curvy girls. Only when this is true, the dresses look good and suit the gorgeous bodies instead of looking like overstretched and unflattering. The most perfect, most stylish plus size prom dresses are made in the flattering materials like chiffon, silk and satin. Plus size dresses are designed and cut to be tailored for bigger sizes, to drape and form classic silhouettes as per taste and preferences. Some great plus size prom dresses have a slimming effect, camouflaging the trouble areas around the stomach, hips and thighs. The most optimum neckline for plus size dresses is a nice ‘V’ deep-neck dress with an empire waist and knee length. Find the right style to flatter your curves, pick a dress that works its magic on you. Just because the dress size is a concern, never settle for something unless it is exactly what you were looking for. Invest time, effort and patience when looking for your dream prom dress. 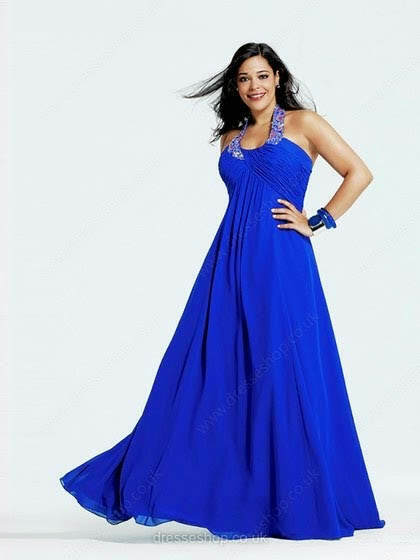 Hope over to Dresseshop that offers an amazing Plus Size Prom Dress collection that flatters the curvy girl and is designed to make you feel young and beautiful and gorgeous. You must have that one feature of your body that you simply love. So make sure you flaunt and show off your best asset. Whatever is your size, you have a waist. Buy a dress that accentuates and defines your waistline and flatters your body. No woman has heavy shoulders, shoulders are gorgeous. So flaunt them in silhouettes that offer a wide neckline or strapless dresses. Black does not necessarily make you slim always. Dabble in colours, opt for different fabrics and experiment with styles. Don’t run from pillar to post in regular stores to find your dream dress. Special sizes are available in designer boutiques. Research online to find the best variety of styles and silhouettes that cater to you. So if you are curvy, head straight to DressEshop for your special day. Wow beautiful dresses, I like all the dresses good design and stylist look which can give an attractive and cute look to any girl. Most popular women's fashion clothes at Dressspace which will give you a different look. Shoppers can get a wide range of collection.